Giltbrook's Clean room features an Air filter system which exchanges the volume of air each hour. This filters dust and lint out of the atmosphere creating the ideal conditions for processing and packing workwear. Our conveyor systems such as our automatic folder and tunnel dryer reduce the amount of manual handling and speed up the automated sorting of workwear. 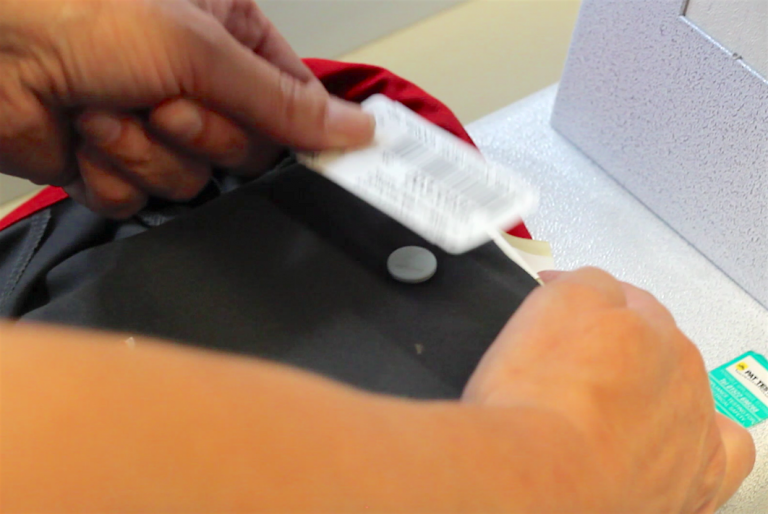 We use Barcode and High Frequency chip technology (RFID) which allows us to closely monitor each garment through the process from booking in to dispatch. Giltbrook's in house database software enables us to control all aspects of production, transport and customer service and sales. Meaning we are always able to answer any queries you may have along the process. All our wash and wearer information is uploaded to the Giltbrook Hub which you can access any time any place.